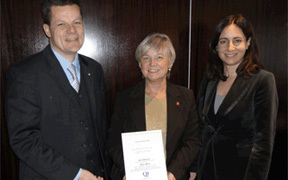 The SSQ Award quality program is accrediterat by HOTREC according to the European Hospitality Quality. Therefore, the participants in the SSQ Award program, are allowed to use HOTREC Q-symbol together with the SSQ Award logotype. SSQ Award was accredited the first time in 2010. Do you want to have your own quality program customised just fpr your company? You can select which measurements to include and let Better Business conduct objective measurements in your establishment(s). See below examples of surveys that can evaluate your quality from several perspectives. If you include SSQs quality development document, you can also be able to use SSQ Awards logotype with the EHQ mark showing that the program is accredited by HOTREC according to European Hospitality Quality. Please contact Better Business to plan your quality program.